I am so happy to be teaming up with the lovely Megan from For All Things Lovely again! 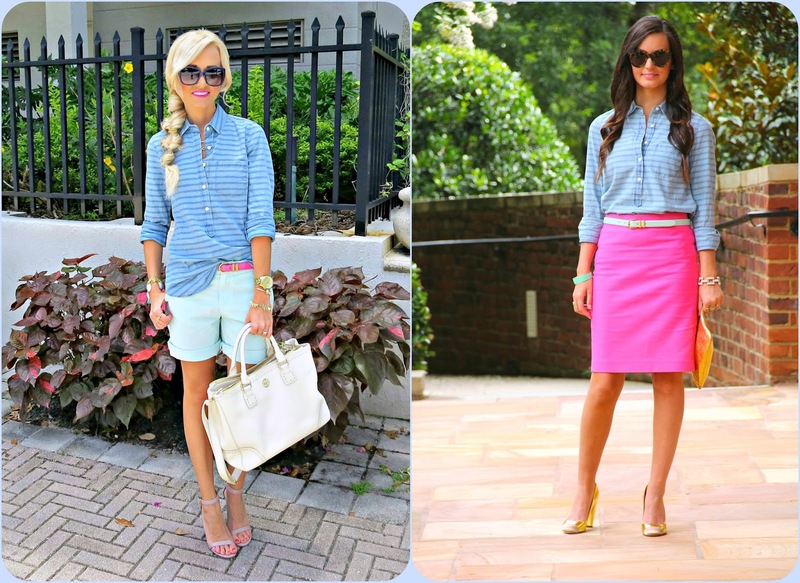 Today we are showing you 2 different ways to style striped chambray! Chambray is something I wear a lot. It goes with so much! If I can't figure out what to wear, a chambray shirt usually solves my problem! 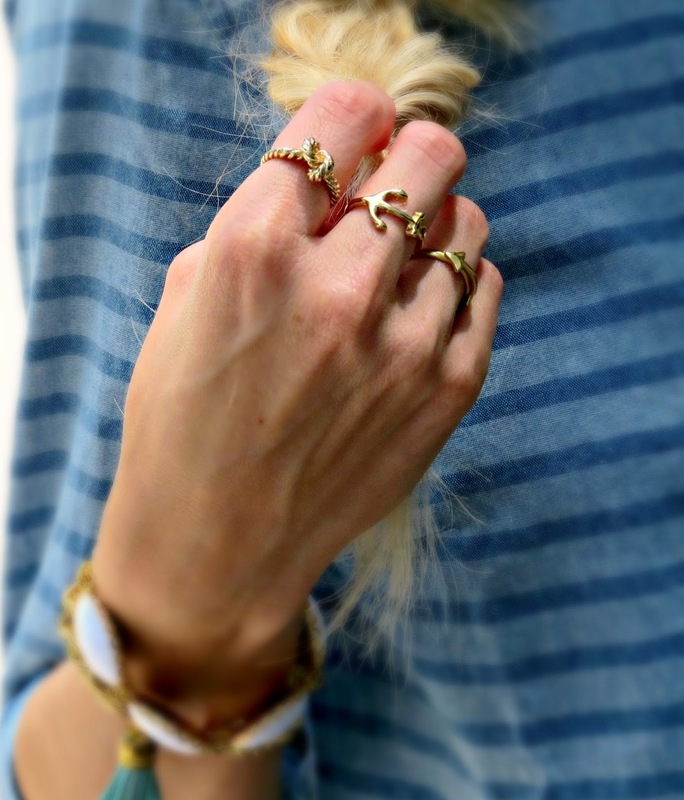 And this one from J.Crew is my new favorite! And it is on SALE! Head over to For All Things Lovely to see Megan's outfit details and check out her cute blog! She has the best style and always looks so effortless! This is so cute! I love the shorts and those heels. And your hair is too cute. 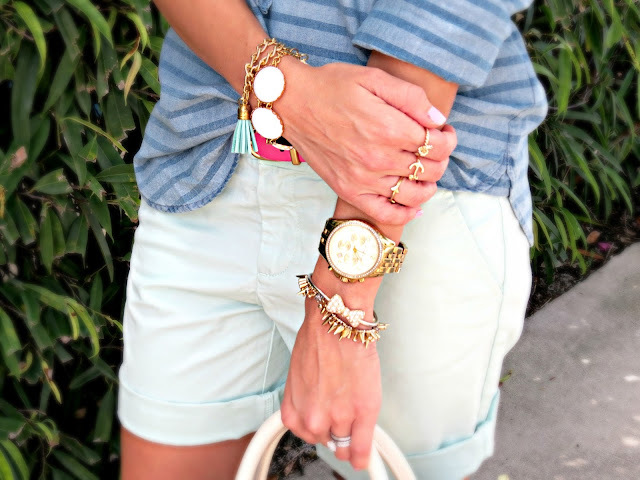 I am always a huge fan of stripes, especially from J.Crew! They always have amazing selections. Your hair is so cute! Adore this post! You're absolutely gorgeous and I love your lip color! What brand do you use?! I love the casual version vs. the more work appropriate! Both great looks! And I hope you do a hair tutorial...that braid thing is too darn cute! Gaahh this hair is just so good! Need to learn your hairstylin' ways! I love how you both styled this cute shirt... Megan's gold shoes are EVERYTHING! Loving that hairstyle as well Jade, gorgeous. You both look adorable in this top! So wish I would have bought it!